DataEntryOutsourced, a global outsourcing leader in data entry services, is introducing a dedicated team of data entry operators for food and nutrition companies that need to keep track of nutritional scoring system data and ensure food label compliance. DataEntryOutsourced is pleased to announce the availability of a professional team of data entry experts to handle the specialized requirements imposed by food production and nutritional companies tasked with managing a complex nutritional scoring system for a wide array of products. DEO is currently offering a free trial of their nutrition scale data entry services. DataEntryOutsourced recently published a special report — "A Case Study on U.S. Food Nutrition Scale Data Entry." This case study highlighted the challenges faced by nutritional client companies when they are handling a large volume of nutritional data. For example, the DEO report discussed how DataEntryOutsourced was able to successfully handle data entry for more than 40,000 food products. While there can be different nutritional scoring systems, the primary goal of such a system is to provide consumers with data that facilitates objective comparisons among different foods. Accurate nutrition profiling and scoring builds credibility for prepackaged food products and enables consumers to make more informed food choices. As noted by a DataEntryOutsourced senior operations manager, "The DEO approach to nutrition scale data entry is optimized for nutrition scale scoring companies that are seeking the highest quality. For more than a decade, DataEntryOutsourced has been an industry leader in online data entry and offline data entry services. 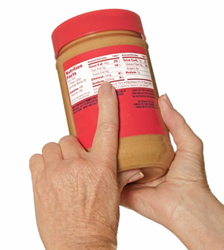 DEO is thoroughly familiar with international nutrition labeling standards including those endorsed by nutrition experts like the American College of Preventive Medicine (ACPM) and can provide support for nutrition scale scoring companies in the United States, Canada, the United Kingdom and Australia. DEO has a dedicated team working on nutrition scoring projects and is currently offering a free trial for clients seeking help in this important area." With both nutrition scale and other specialized data entry services, DataEntryOutsourced devotes considerable resources to quality and security for their clients. Each DEO data entry operator has in excess of three years of advanced expertise and is supervised by a dedicated team leader — the dedicated team of professionals for the DEO nutrition score data entry program includes both a quality analyst and quality manager.